The article was originally written for an earlier version of eOS but it is equally applicable to install elementary OS Freya in dual boot with Windows. elementary OS Freya stable version has been released. It is based on Ubuntu 14.04 LTS. By now, you might have see the new features introduced in Freya. If you are impressed with the features, you might want to give it a try yourself. In this tutorial, we’ll see how to install elementary OS Freya in dual boot with Windows. I always dual boot Linux with Windows. It gives me a way to recover in case I screw up my Linux system. I was dual booting Windows 8 with Ubuntu 14.10 Beta and I installed Elementary OS Freya in place of Ubuntu 14.10. Though it was for an already dual booted system, this guide can be used to dual boot any Linux OS along with Windows. If you have UEFI, you can follow this tutorial to install Freya in dual boot with Windows 8 UEFI. The article is actually for Ubuntu but works the same for Freya. Download and create a live USB of Elementary OS Freya. Plug the live USB or disk in to the computer and restart the computer. While booting the computer press F10 or F12 function key (defers from computer to computer) to go to the boot menu. In here, choose the option to boot from USB or Removable Media. It takes some time to boot from the live USB or disk. Have some patience. Once it boots in to live disk, you’ll be provided to Try Elementary OS or Install Elementary OS. No need to tell you what to do here. In next few screens, you’ll be asked to choose the language of the operating system to be installed. It will then do some checks on available space and other petty stuffs. Now if you see here, I have 2-3 NTFS partition and some ext4 partitions (from Ubuntu 13.10 installation). If you do not have ext4 partition, don’t worry. I hope that your Windows OS have several (or at least two) drives (read partition) in it. C drive where (usually) Windows is installed and one (or more) other drives. What you need to do here is to delete a NTFS or existing ext4 partition and create some free space. Choose the partition and click Delete. This will delete all the data in that partition and this is why I asked you to verify if you have Windows installed in a different partition. Once you have some free space on your hard drive, its time to install Linux system on it. There are several ways to do it. But in this post, I am going to show you my favorite way and that is to have a Root, a Swap and a Home. I’ll discuss why this is my favorite way in some other article. 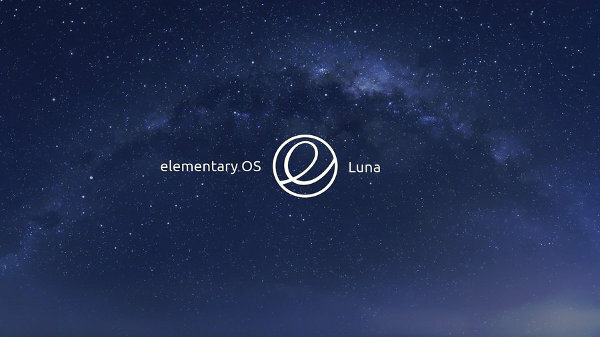 Lets just focus here on the installation of Elementary OS Luna. Create a root partition first. Choose on the free space available and click on add. Now, next is to create swap partition. It is advised by many that Swap should be double of your RAM and stuff like that. Honestly, I don’t care much about it. I just use a value higher than my RAM. The next step is to create Home. Try to allocate the maximum size to Home. After all this is where you’ll be installing, keeping the files mostly. Once you have created the Root, Swap and Home partition successfully, click on Install now to proceed with installing Elementary OS Luna (or any other Linux OS). I hope you don’t run into Grub rescue error for messing up with the partition. And that would be it. On next boot, you will see the option of Elementary OS on grub screen. And thus you can enjoy the beautiful and elegant Elementary OS. I hope you found this guide to install Elementary OS Freya alongside Windows helpful. If you have questions, suggestions or a word of thanks, feel free to drop a comment. Don’t forget to stay in touch on Facebook and Google Plus. See you again with more Elementary OS tutorials.